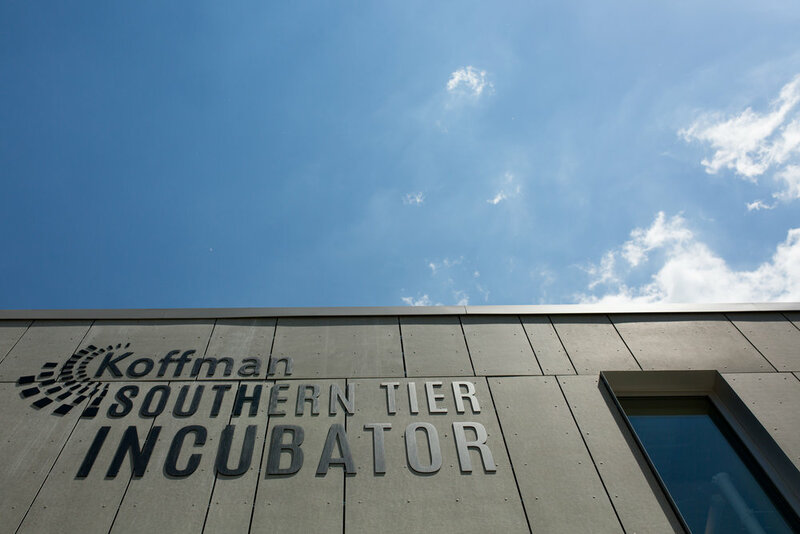 Designed to function as a test bed for environmental and energy technologies and building innovations that the Center promotes. 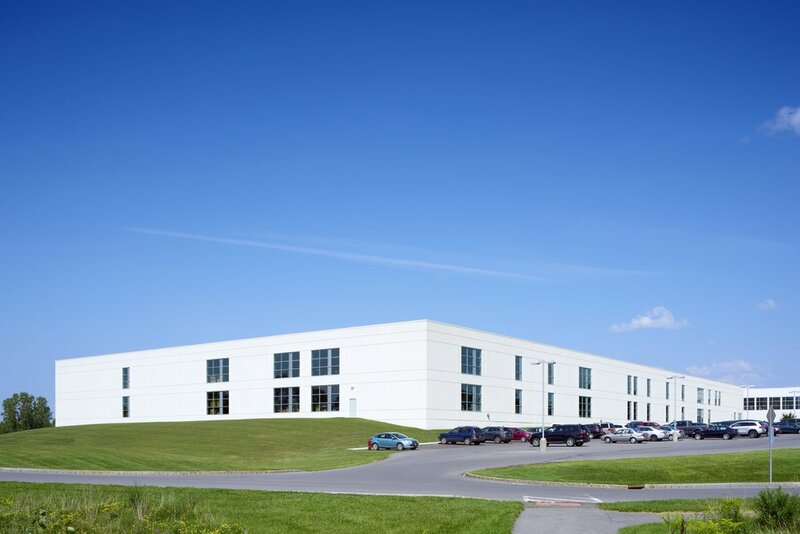 Built on a prominent brownfield site in downtown Syracuse, Ashley McGraw was Executive Architect for the the 55,000 SF headquarters of the Syracuse Center of Excellence in Environmental and Energy Systems. 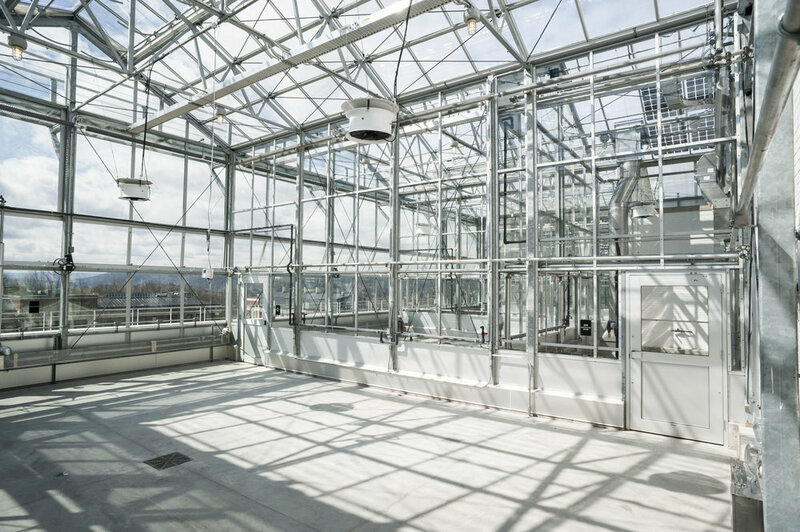 Natural ventilation, personal ventilation systems, heat recovery/reuse systems, rain water capture/ reuse, vegetative roof, and geothermal ground source heat pumps are among the sustainability strategies employed in the building’s design. 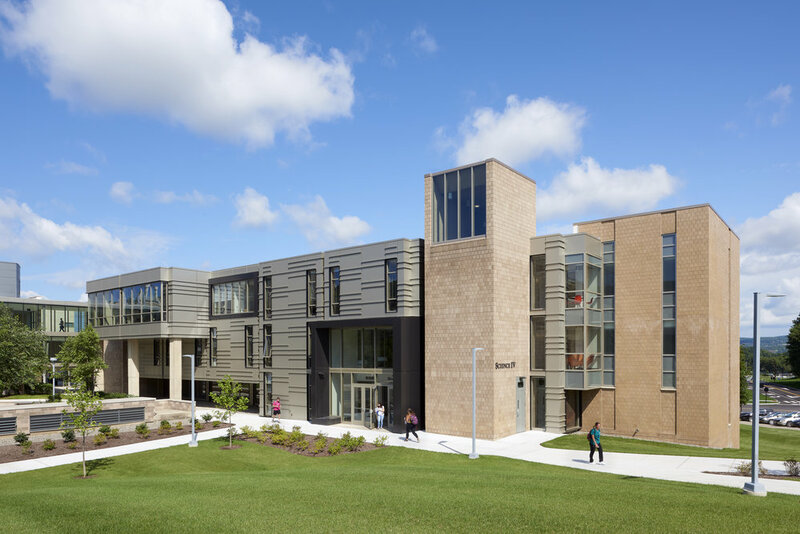 The building has received a LEED Platinum Certification from the U.S. Green Building Council. Construction was completed on the project in 2010. However, the phase 1 project did not include the fit-out of the lab wing. It was intended that the labs would be installed individually as funding became available. In 2011, Syracuse University contracted with Ashley McGraw to do a planning study for four laboratories, a Thermal Lab, a Combustion Lab, a Hot Water Heater Testing Tab, and a Biofuels Pilot Facility. The Thermal Lab facilitates both fabrication and testing of very small fuel cells. The laboratory is designed to accommodate a wide variety of fabrication and testing equipment. The Hot Water Heater Testing Lab accommodates eight (8) domestic hot water heater testing stations. Testing is to be conducted over an estimated two year period. The Combustion Lab is used to combustion test hydrocarbon fuels such as biofuels, aviation and other fuels. Small amounts of fuel are used. Lab is divided into two work stations. Shock Tube Lab and Flame Test Laser Lab. 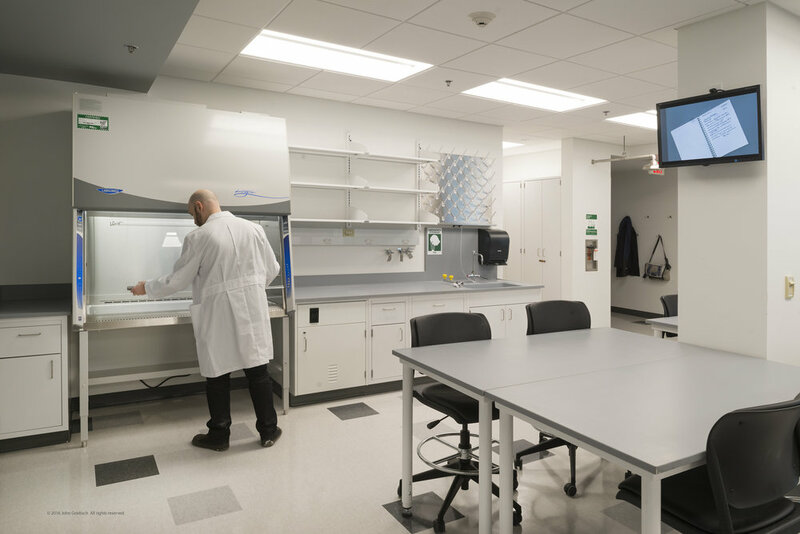 The Biofuels Pilot Facility includes a biofuels plant, analytical area, analytical lab and storage in a 3,850 sf lab area with an additional plant and storage area on an 800 sf mezzanine.